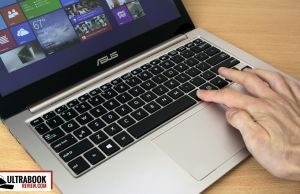 The Asus Zenbook UX303LN was one of the the few 13-inch ultraportables that could handle games well in the last year and while Asus has updated the series to Broadwell hardware, they also quietly launched a new model earlier in 2015: the Zenbook UX303LB, with Broadwell processors and newer Nvidia 940M graphics. This series has been available in stores for a few weeks here in Europe and should make it to the US as well by the end of June, based on the scarce info available right now. This post gathers my overall impressions on the product and how I feel it compares to the UX303LN series. There is one thing you should know from the beginning, the Zenbook UX303LB is only a minor update of the UX303LN. 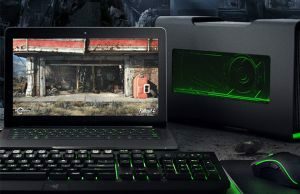 Thus if you have the previous model with the 4th gen Core i7 processor and Nvidia 840M graphics, there’s no point to upgrade, as neither the Broadwell processor nor the 900 series Nvidia chip offer any significant performance upgrades over their predecessors, while all the other aspects of the two machines are identical. Update: There’s an updated version of the UX303LB, called the Zenbook UX303UB, which is pretty much the same device, but with Skylake hardware inside. Follow this link for more details. Let’s take a closer look at the CPUs. 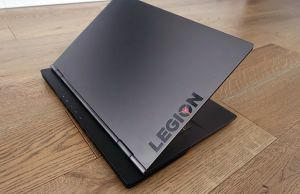 The UX303LN was powered by an Intel Core i7-4510U processor and later received an upgrade to the Intel Core i7-5500U Broadwell CPU, which is available on the UX303LB model as well. Both models were also sold with Core i5 CPUs in certain regions, but since most countries only got the i7 configurations, we’ll focus our analysis on these two. To put this short, the Core i7-5500U processor is about 5 to 10% faster than the Core i7-4500U/4510U CPUs in multi-threaded benchmarks. In practice though, the difference is going to be marginal and difficult to actually spot. The Broadwell CPU is somewhat more efficient than the Haswell models under similar loads and does pack more competent integrated graphics, which means the Nvidia chip on the UX303LB will have to kick in less often in daily use. This increased efficiency will translate into superior battery life. While I haven’t personally reviewed the UX303LB, initial user reports claim between 30-60 minutes more run-time. Not a major improvement on the 5-hour battery life of its predecessor, but an improvement nonetheless. The dedicated graphics are one of the main reasons people would buy these Zenbooks over other Ultrabooks in the first place, and here’s where the UX303LB might appear to have an advantage, as it bundles an Nvidia GT 940M chip instead of the Nvidia GT 840M in the UX303LN. In practice though, the 940M is only a slightly higher-clocked version of the 840M solution. Both are built on the GM108 Maxwell architecture with the same number of pipelines (384) and same vRAM (2GB DDR3 64-bit). The only difference is the clock speed, which is 1029 MHz for the 840M and 1072 MHz (with a boost to 1176 MHz) for the 940M chip, and that’s not going to make a big difference in practice. However, from the few details we know so far from those who already bought the UX303LB in Germany, it runs cooler than the UX303LN models and that means the hardware can be overclocked. This particular user on the forums pushed the Core Speed 135 MHz and the Memory Speed 200 MHz over default and ended up with a 3DMark 11 score of around P2867 points, with the CPUs running at 79 degrees and the GPU at 72. In comparison, the Nvidia GT840M bundled UX303LN only got a 3DMark 11 score of around P2400 points, while running at higher temperatures (nearly 90 Degrees on the CPU cores) in my tests. Now, I am comparing results from two different sources here, so do take them with a grain of salt. But if these numbers are correct, the Zenbook UX303LB has the potential to be a faster and more efficient performer than the UX303LN. Out of the box the two are indeed really close, but since the newer model will run cooler, you could overclock it to boost performance and even play games like GTA V or Witcher 3 on this thing, as shown in the following clips. CPU and GPU aside, the UX303LN and the LB models are identical. Same design, same ports, same keyboard and trackpad, same batteries and same screens, as you can see from the quick unboxing below. But there are two aspects I want to mention here: the displays and the hinge mechanisms. Just like the UX303LN before, the UX303LB will be offered with either a 1920 x 1080 px or a 3200 x 1800 px IPS panel, both matte and without touch. The latter is a Pentile Samsung panel though and has serious problems with color accuracy, especially with yellows, which it paints in a mustardy, greenish tint. This is a well documented problem on the UX303LN and other devices with similar screens (like the Lenovo Yoga 2 Pro or the Samsung ATIV Book 9 Plus), but Asus never released any BIOS update that could at least improve the issue, unlike Lenovo or Samsung. Things might have changed here, but I wouldn’t take the chance in assuming that they did, so beware. You’ll say that means you should pick the models with a 1080p display, after all, the 1920 x 1080 px resolution is far better suited for gaming on such a hardware configuration‒ and you’d be entirely correct. But there’s a catch: the 1080p models won’t be available worldwide. Right now, the models sold in Germany and other European countries do ship with this particular display, but the models that will be available in the US and Canada for instance will only be paired with the 3200 x 1800 px screen, just like the UX303LN series. That means you won’t be able to get the 1080p display in the US. You could import a model from Europe, but you’ll be stuck with a different keyboard layout (QWERTZ for Germany, for instance) and a different wall-adapter. That out of the way, there’s also the hinge to mention, as a fair amount of UX303LN buyers complained about it breaking easily for no apparent reason. It just shatters in time. Asus will fix it under warranty, but if you plan to keep this for a few years (and I reckon you do, since you’ll pay a hefty amount for it), once it runs out of warranty you’ll have to pay for the replacement. There’s no way to tell for sure if this particular issue has been addressed or not on the UX303LB, but since the two laptops are built on the exact same chassis, I’m inclined to think it was not. 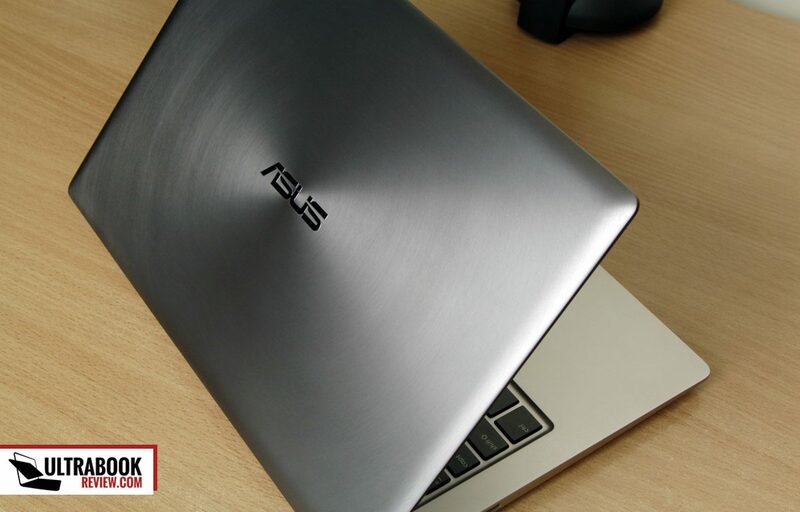 Wrapping up this quick post up, we can conclude the Asus Zenbook UX303LB is just a hardware update of last year’s popular model, the UX303LN. 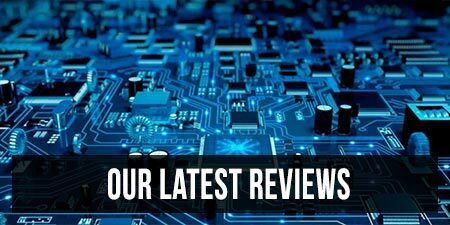 That means that all the aspects discussed in my detailed review of the UX303LN and the comparison with the UX303LA still stand and are worth a read. Even so, if the UX303LB is available in your country and you’re happy with the existing configurations, it is the option I’d recommend over the two. The performance gain is minimal indeed, but the newer version is more efficient and will run cooler, which makes it either an overall more pleasant machine to use, as well as opens up the option of overclocking the hardware and gain a smoother gaming performance. Yet, the decision between the two isn’t simple. Think of it like this. The UX303LB sells for around $1300 in the US (1300 EUR in Europe), with the Core i7-5500U processor, 12 GB of RAM, 256 or 512 GB SSD and the Nvidia 940M graphics. Follow this link for more details and potential discounts. The older Zenbook UX303LN (with the Core i7-4510U CPU and Nvidia 840M) already sells for around $1200 at the moment (more details via this link), and I expect the price gap between the two models to widen in the next months, if you will still find it in stock anywhere. You’ll have to ask yourself whether it’s worth paying premium for the UX303LB and gain little, or rather pay less for the UX303LN versions. If you’ll go the overclocking route, the UX303LB will still be worth your money. Otherwise though, not so much. 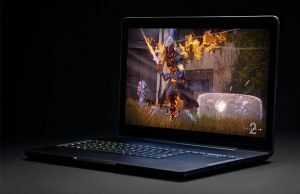 Something else to keep in mind is that if you don’t plan to buy such a computer in the Q2 or Q3 of 2015, you should just wait for the Skylake release (that’s the Zenbook UX303UB and you can find more about it from this post, or scan for potential deals by following this one). Anyway, we’ll wrap this up here. Let me know what you think about the Asus Zenbook UX303LB in the comments section below and feel free to get in touch if you have any questions or anything to add to this post. I’m hoping for a more evolutionary upgrade when the Skylake processors debut in September. I’m really enamoured with the UX303 series because a gaming-level ultraportable with decent battery life is all I want. But the screen issues give me pause. Hopefully things are fixed for the Q3 2015 lineup. If you can get the FHD models then you shouldn’t have such problems. I’ve just ordered UX303UB-DH74T. Is there anything you can tell me about the recent model’s hinge issues? I am very careful with my laptop. But the reviews across the internet is making me nervous. Thank You in advance. Very helpful review. Keep up the good work. I have one of the older Asus netbooks (UL-30V) that I would like to upgrade. Used for breakfast email check and travel computer for email and internet. Minimal adobe acrobat and office usage. Is the UX305 a suitable replacement? Yes, it will do fine for what you need. I’m trying to decide between a UX303LB and a Lenovo U31-70. They both have the same specs (i7 5500U, 8GB RAM, 256GB SSD, 1.5kg, almost the same video card, 802.11 ac, nice metal case) for the same price. As far as I can tell, the main difference is in the battery (3-cell 50Wh for the ASUS, 2-cell 35Wh for the Lenovo). Do you have any thoughts on which one might be a better choice for an academic user with substantial portable computing needs and probably lots of typing? My dad has an ASUS with a keyboard that just died on him, but I don’t know whether this is typical or not. What do you mean by almost the same graphics card? The Asus gets the 940M, while the U31 gets the 920M chips. These are in no way close. There’s also the battery and the screen to consider (the 3200 x 1800 px panel on the Asus has skewed color reproduction; there’s also a 1080p model, available in Europe, which puts the Zenbook on par with he Lenovo). If you need this to be portable, than the U31’s short battery life is a deal-breaker. On the other hand, its keyboard should be slightly more comfortable. If you plan to play any games, the UX303LB is obviously the better pick. Still, if you don’t plan to play games, you can also consider the UX303LA, cheaper and without dedicated graphics. Thanks for the remarks! My mistake about the graphics card (not important to me, so I failed to check it out properly). Screen: 1080p for both (I’m in Europe). I’ll think about the battery / keyboard trade-off. well andrei i’m looking for a laptop in the 500-600$ range and i have shortlisted on the a hp envy 15z with an amd fx-8800p,a refurbished lenovo zz70 with a geforce 840m,and the last is the lenovo y40-70/80(refurbished) what would you suggest to go with as my budget is pretty low these are my only options. What do you plan to use these laptops for? The AMD config is kind of low powered and has very poor battery life. Also, if you want to play games, I’d get one of the options with dedicated graphics. well thanks a lot andrei i skipped the amd configuration all-together and i’m now waiting for a n open-box deal on the asus x555LB-ns51 i have seen it for 530$ on many open box deals. Mridul, check out the Lenovo U31. 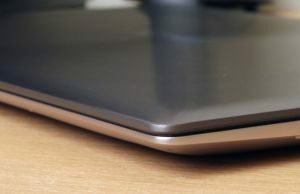 I have been looking at Zenbooks with a intention of ordering an Ultra-portable (something on the lines of X1 carbon, which I have) within a month-latest by six weeks. I want to buy a machine running on i7 processor. My main use would be viewing Xrays, CT and MRI pictures using a viewr called ‘Dicom Viewer’. Although I have gone through your reviews and several others, the model names and numbers are just too confusing. Would you please suggest a couple of models so that I can restrict my search and analysis only to these suggestions? Also, will I be able to order (online) a machine equipped with Broadwell processor? Hi, it would help to tell me where you’re from, because Zenbooks differ from region to region. Also if you prefer something small (13 incher) or a full-size computer, as well as what’s your budget for this. I can’t tell for sure when or if it will be available there at all. You should contact Asus North America, they are active on Twitter and Facebook for instance. Ad for whether it’s worth getting or not, the only noticeable difference is going to be battery life in certain scenarios (mostly when running games, not necessarily in daily use), like I mentioned in the article’s Wrap-up. Thanks for the input Andrei, after doing lots of research the hinge issues are really turning me away from this laptop… Are there any other laptops that are comparable to the UX303LN/LB? I am interested in this ultrabook but am concerned about the display colour cast. I have a zenbook purchased 4 years ago and while I love it, I do not like the colour cast as it’s a huge issue with editing photos. Could you recommend a good ultrabook for photoshop/photography? It will be mainly used for backing up photos to a portable hard drive while traveling and editing a handful photos while not at home. I have a good desk top system that I do 95% or more of my editing on I just need a light portable system for traveling through airports and that I can slip into my camera bag. Any suggestions? Thank you. HI, you haven’t mentioned anything about a budget, but the Dell XPS 13 9343 should be a good option. Go for the i7 config with 8 GB of RAM if you plan to do a lot of Photoshop. Also, if you can wait till October, there’s going to be a new version with updated hardware available. Hi! Can you suggest other laptops similar to the ux303? I am looking for alternatives so that I can compare. Also, is the screen’s issue on mustardy yellow still goes unsolved today? Hi! I’m looking for a laptop under 600$ and i’m expecting i5 processer(better 5th gen), 1Tb harddrive(better if its a hybrid comes with ssd), 8GB ram, and with fair battery life. Better if there is a DVDRW and 1080p screen. Can you suggset me an option? Hey Andrei, I like to buy a ultrabook in the most of cases for mobile video editing. How good is Zenbook for that? I’m looking for a laptop in the 1200-1400$ range.Thanks for your answer! Does it have to be a 13 incher? If yes, I’d pick the Macbook Air with the 28Wh Core i7 processor. If you need Windows, there are no options that I know of for 13 inchers that can match the MBA in performance/price. 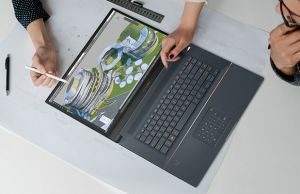 You could however go for a 15-incher like the Acer Aspire V15 Nitro Black and others, with quad-core processors, but those aren’t as portable. 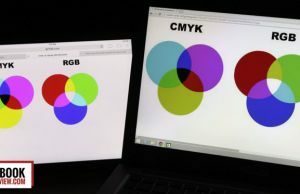 The UX303LN is only an option if you can find the model with the 1080p screen, the 1800p model isn’t able to reproduce colors accurately, and that’s probably a must in your field. Thanks for you quick answer. I think your information is very useful. I need strong and portable comp as much as I can get. And of course, not too expensive. What is your opinions about Dell XPS 13? Has the model with Screen Resolution	3200 x 1800 pixels also the problems with reproduce colors? At the moment I use 15-inc HP elite book, but I had the problems with ventilation. No, the Dell uses a different panel and does not have the same color issues. The matte 1080p panel is very good as well. Acer also has a great screen on the Aspire S7. You could also consider waiting for Skylake. CPU performance is predicted to improve by up to 10% over Broadwell, and graphics should see a bigger gain. And if that’s not of any interest, Broadwell devices should drop in price while the Skylake variants are out. Thanks for writing up this review! It’s been extremely helpful, as was your video review of the UX303LN. I think I’m almost sold on this laptop, but I want to make sure I’m not going overboard or overlooking better alternatives. I’ll mostly be using this laptop for browsing and MS Office use, but could get a little heavy with multitasking. I’d also be using it for some light gaming (stuff like Civ 5 and Rocket League). I may need it for some heavier use, though, like CAD or some rendering programs. Would it be up to that task? Should I be looking at alternatives? Should I wait for the Skylake upgrade in October? Hi, first of all, I think this laptop should handle those tasks fine. On the other hand, you probably won’t need the dedicated graphics for those games, so you could save up something if you wait for the Skylake version and go for the UX303LA model instead, the one without dedicated graphics. If it’s within your budget though, just get it. There’s always going to be a next best thing and sometimes it’s just not worth waiting for it. Any validation of the above two parameters would be much appreciated. You’ll have to contact the store on Amazon and ask about the SSD size. As for the RAM, I never actually tested the UX303LB, but the previous generation, which this one is built on, had 4 GB of RAM soldered on the motherboard and a spare DIMM that could take up to 8 GB of RAM. I’m not 100% positive that’s the case here as well, but I was under the impression it is. I am however curious about how relevant the Nvidia card to my needs, which are (like someone wrote before) – basic video editing. Im not a pro and editing is only a hobby, as is photography and perhaps sound editing in the near future (also, as a hobby). I would also like to playback HD movies and project them with a beamer or just on a big screen TV. Would you recommend this model (ASUS UX303LB-R4061H to be exact) to such tasks? 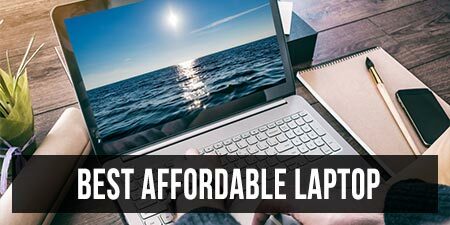 I am a PC person and switching to Mac is a bit of a challenge, not only because im used to PC but mostly because of the price – I would have to pay a lot more for such specs if I buy a MCA or MBP. The Nvidia graphics aren’t going to help very much with video editing, so I’d rather get the UX303LA (Broadwell and Skylake version – soon to be launched) if you could find it with 12 GB of RAM for a cheaper price. If you can’t though, the UX303LB will be a good buy. So what is the Nvidia card good for, other than gaming? Well, gaming. Software like Premiere are slightly helped by the graphics, but from my experience the CPU and the amount of RAM matter much more. 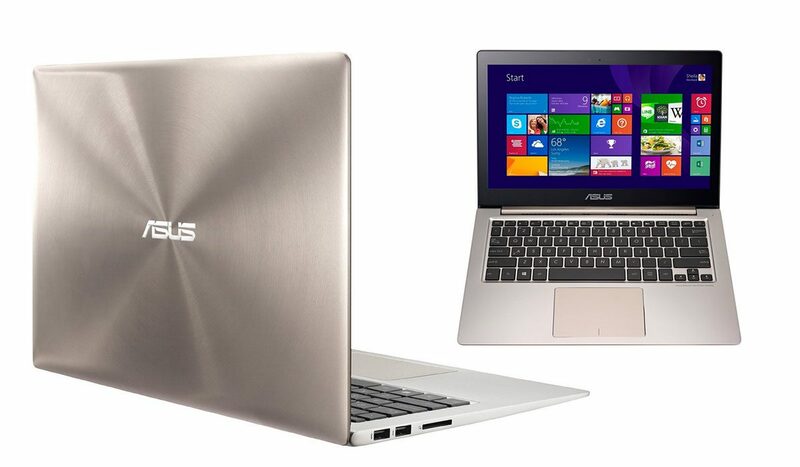 Hello, I have to choices: Asus Zenbook ux303lb and Asus Zenbook ux305la. Both i7 5500U, but one has Geforce and the other one Intel Graphics. I want to know which to buy, I will use for every day use and I will carry with me every day to university. I’m studying media&computer science and I’ll have some graphics courses (nothing wow or complicated). It is a big diffrences between the 2 laptops when it comes to battery life? 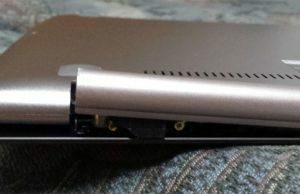 Asus Zenbook ux303 3 cells 50 Whr and Asus Zenbook 6 cells 56 Whr? The UX305LA has fewer ports and a non-backlit keyboard. If you’re fine with those and don’t plan to play any games on your laptop, it would be the choice I’d go with. Does ASUS Zenbook UX303LB with “13.3 “Full HD resolution (1920 x 1080) LED, No Glare” disply has still the problem with yellow color?? Because I had the ASUS Zenbook UX303LN that has the yellow color issue and I’m about to receive a refund for that and since I heard that Full HD resolution (1920 x 1080) LED does not have that problem , I’m gonna buy that, should I do so ? Thanks a lot for your very helpful review and advice. I have a question about this sort of portable but still powerful notebooks. I need a new notebook for university and work which handles well multitasking and some 3D modelling, rendering softwares and photo editing but should be quite portable (13-14″). 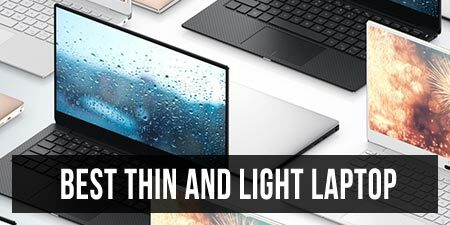 I stumbled upon a few models, like the Asus UX303LB and the Lenovo Yoga 3 14″ (i7 version), which can be found at around 1000 euros on the market. Which of both would you recommend? What about expanding the amount of RAm on these models? And for this purpose, which component is more worth investing: processor, graphics card, RAM,…? 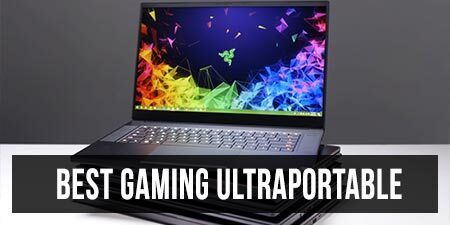 You can find the available options for 13-14 inch ultraportables with dedicated graphics in this post: https://www.ultrabookreview.com/2071-best-gaming-ultrabooks/ . Your budget will get you the Yoga 3 14 and probably the Asus, both with 940M graphics. The Asus is more compact and supports more RAM (up to 12 GB), the Yoga is bigger and is a convertible, if that matters to you. For your needs the CPU and the RAM matter more than the graphics imo, but a Core i7 ULV is the best you can expect in a compact footprint, so both will be good options. As a heads up, make sure you stay away from the XU303LB version with the 3200 x 1800 px display, it has some known problems with color accuracy. Get the FHD panel instead. Thanks, Andrei! That helps me a lot! hi there, I wanna buy a laptop for gaming. Is this suitable? For video editing with premiere and after effect, which one is better? 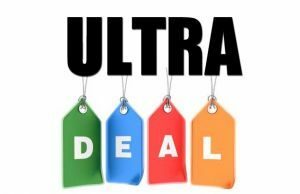 [Zenbook UX303LB with Intel Core i7 5500U, 2.4 Ghz up to 3.0 Ghz, DDR3 8 GB, Vga Nvidia Geforce GT940M 2 GB] or [Zenbook UX303LN with Intel Core i7 5500U, 2.4 Ghz up to 3.0 GHz, DDR3 12 GB, Vga Nvidia Geforce GT840 2 GB] the difference is in VGA card and RAM. What do you think? I’d get the version with 12 GB of RAM, as the two graphics chips are pretty much identical. What I want to ask is can i upgrade the hard disk to SSD and RAM to 6 or 8 ? And What is the right type of SSD and RAM ? Any 2.5″ 7 mm SSD should work just fine. I got an answer from ASUS Support. They say my UX303LB won't support a 2.5″ 7 mm that is bigger than 512 Go. Should we trust them ? Hi, I have your notes about Asus Zenbook series and it is quite helpful. But can you please tell me if there are Zenbooks 3 with Nividia Card. Or if you cam suggest me any zenbook with Nividia, thanks. 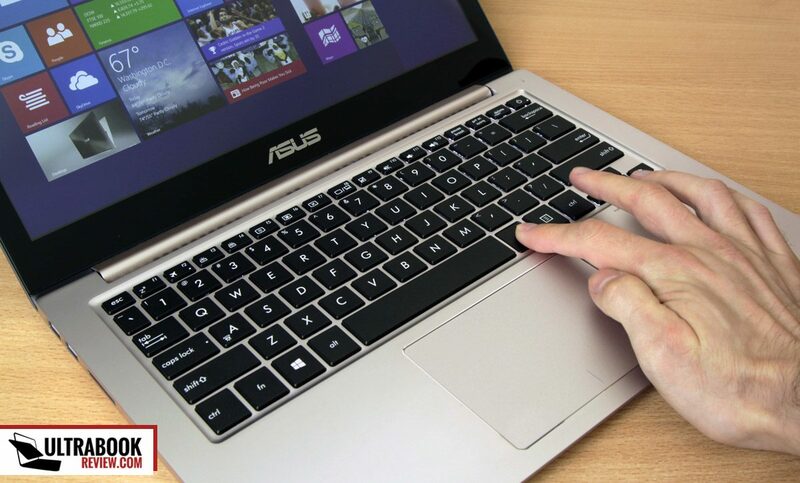 The newest and most compact Zenbook with Nvidia graphics is the UX430. the UX390 and 490 don't get dedicated graphics. About the shattered hinge, in my case, ASUS did not fix it under warranty. Mine shattered after 18 months and the repair center told me it happened because of misuse (and no further explanation was provided), so the warranty is void. You might want to think twice before buying ASUS products.